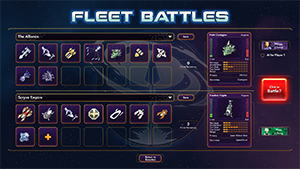 Fleet Battles just received another massive update and we can’t wait to see you online to try it out. We’ve added some new alien ships, devastating new weapons, new maps, a new feature called scavenging, and more. Buckle up - it’s time to fly! 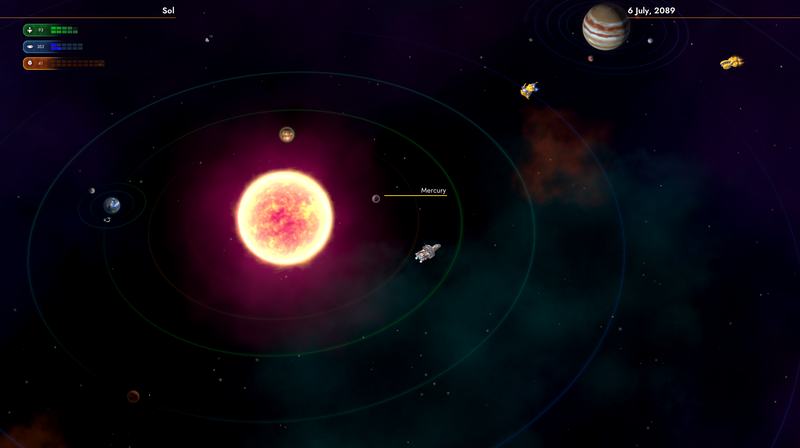 For full details on the updates, view the changelog at the bottom of the post. Now you see them...and now you don’t! This ship is piloted by a race of green-skinned aliens who admit to having been watching the human race for a very long time. Creepy. 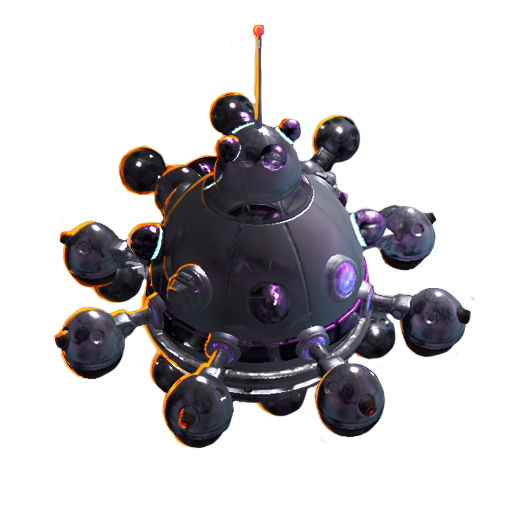 This orb-like ship is fastest-moving and has a limited close range, but that doesn’t mean it isn’t dangerous! 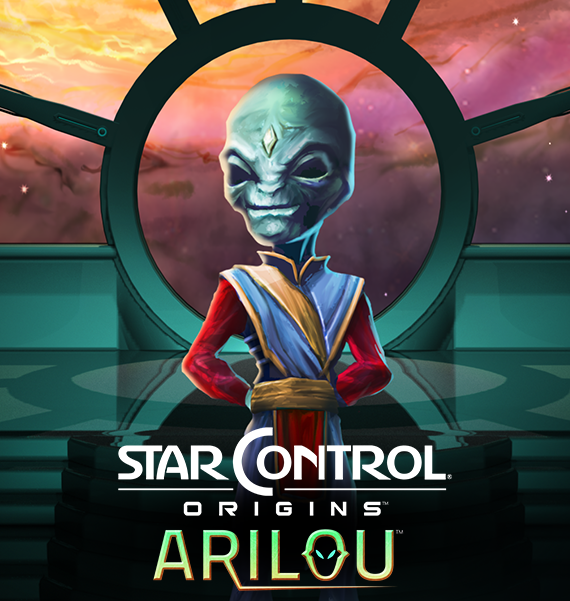 The Arilou Observer can use its cloaking device to stay hidden from its enemy, choosing the opportune moment to reveal itself and strike. Its primary weapon, the octomator, fires in eight directions at once, so aiming is totally optional! 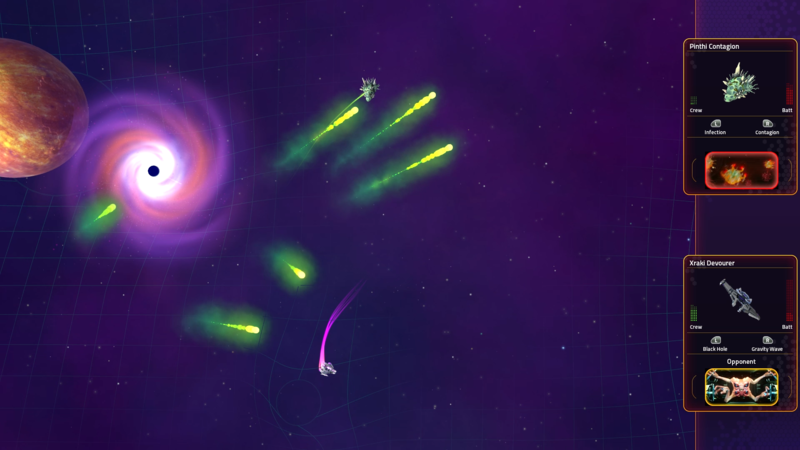 Not all aliens want to make nice, and if the mine-field in the battle arena is any indication, the Kzanti are not your friends! That ship of yours would fetch a steep price on the black market, but it’ll sell even better in pieces. 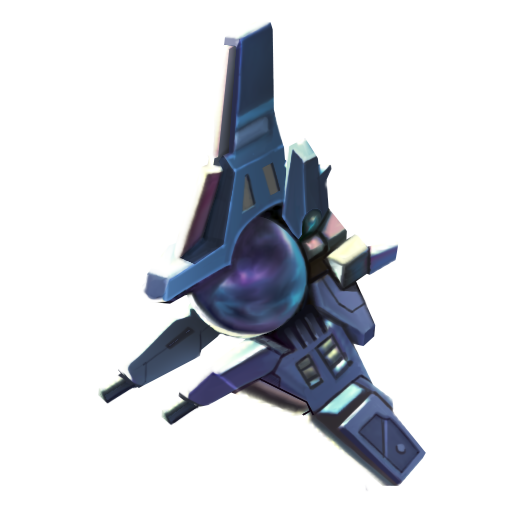 The Kzanti Intimidator is a fierce ship with a high speed and tight turn rate that drops proximity mines as its form of primary attack. 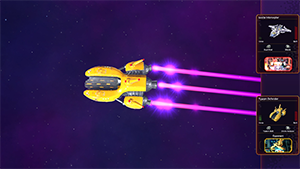 Its repulsor will also damage your ship and push you away from the Intimidator in order to give it enough time to get away. right moment to move in close and strike. Octomator: Aiming? What’s that? Fire off a short-range but powerful blast in 8 directions simultaneously. on any enemy ships that venture too close. collect nearby wreckages to power up your ship. Battle Arenas now are littered with wrecks from destroyed ships. 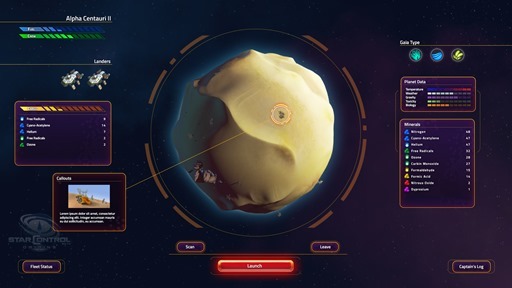 Each match will start with a random number of wrecks, and each time a ship is destroyed during a round, it leaves another wreck for the next battle. 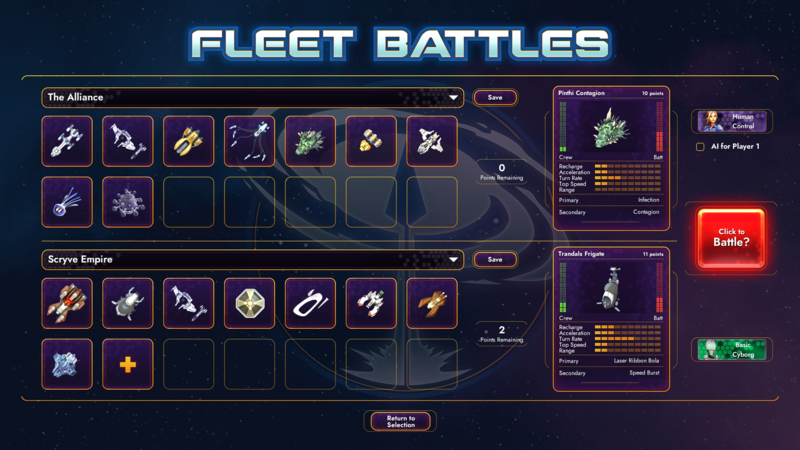 The bonuses will not only apply to the ship that collects it, but to your entire fleet! Collect as many as you can early on to gain a huge advantage over your opponent. are marked with an arrow so they can’t sneak up on you. 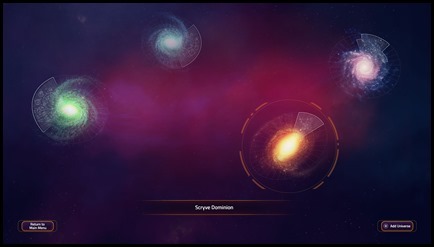 Maelstrom: A large map with lots of planets and massive asteroids. We didn’t want you to have to wait until the game releases: get access to special included DLC right now! These new pieces of downloadable content are available to anyone who has pre-ordered the base game. 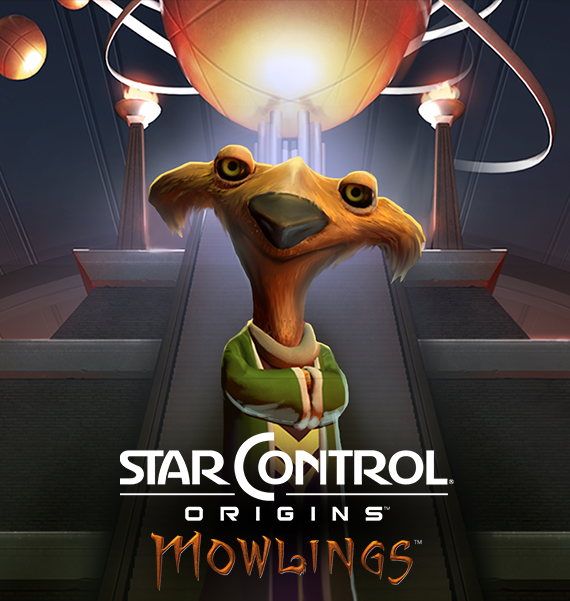 In addition to concept art and lore, each content pack features new music by Mason Fisher and Riku Nuottajärvi, an original composer for Star Control II. Many packs will also feature the original alien tracks by Star Control II composer Dan Nicholson. How many aliens out there are actually watching us? We’re up to two or three now, and we’ve barely left home. On the doorstep of our own solar system we were approached by an alien vessel filled with what can only be described as ’little green men.' Calling themselves the Arilou Lalee’lay, they have apparently been watching humanity for a long time. They claim to have some sort of bond with us, though they are for now reluctant to explain exactly what that bond is. 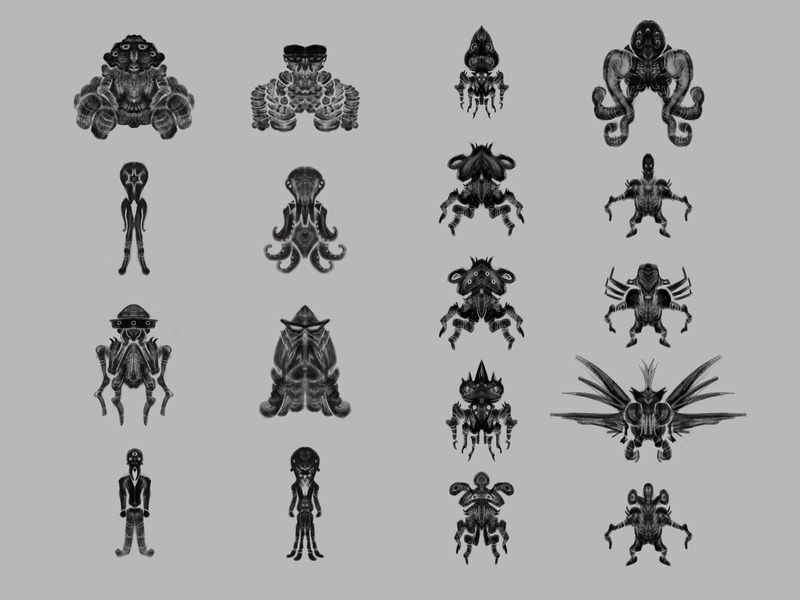 Friendly, but a bit condescending, they also seem to be almost purposefully mysterious. Conversations with them can get a bit tiring. DLC included in purchase of Star Control: Origins; Steam validation required. We’ve come across a strange crystalline world which looks like it was once the home of strange beings. 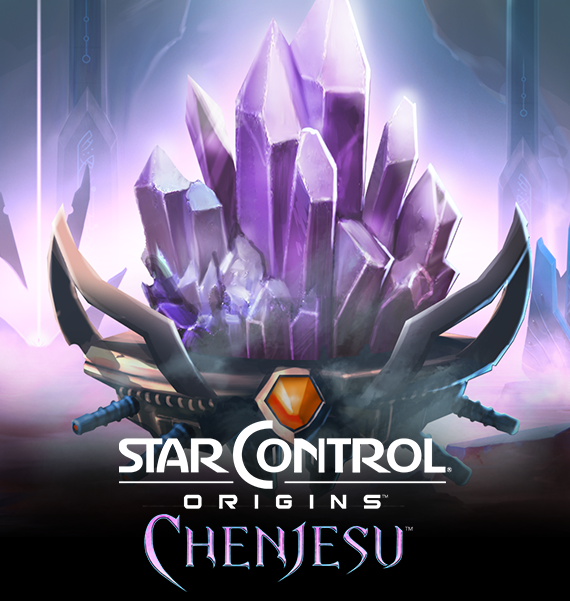 Calling themselves the Chenjesu, it seems they resembled nothing so much as ambulatory crystals themselves, who fed on a unique mixture of solar and chemical processes. Peaceful and very intelligent, they could also detect Hyperwave processes naturally, and long sensed the danger of the Scryve Empire. They remained hidden from the Scryve, and once capable of hyperspace travel themselves, slowly moved themselves out of the region and further down the spur, out of the Scryve’s reach. Their current whereabouts are unknown. We’ve encountered a species of polite and accident prone little critters called the Mowlings. They’re amongst the friendliest beings we’ve yet met in the galaxy, and could make great allies for us. Though they’re not necessarily the most advanced. 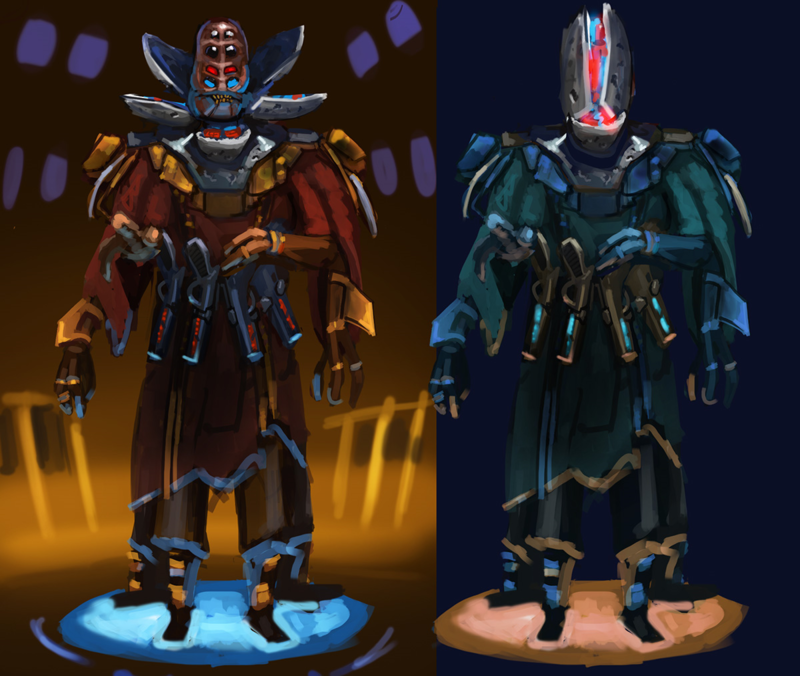 Also they have a… peculiar religion, revolving around the fervent worship of a massively powerful alien. 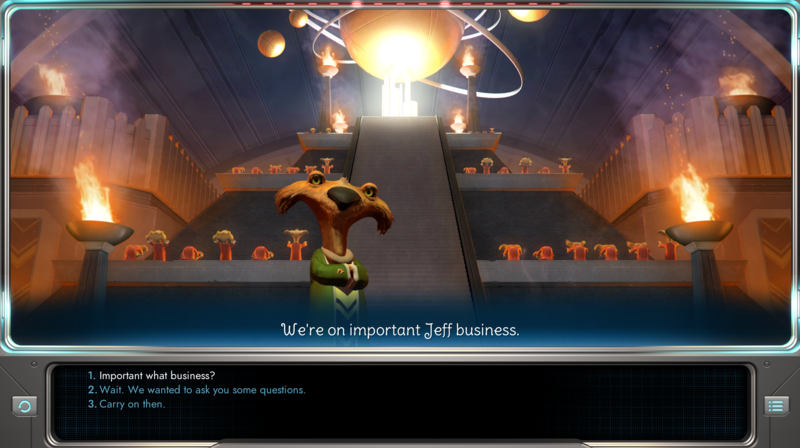 A massively powerful alien called Jeff. I suspect we’ll need Jeff’s permission for a lot of things we have planned for the Mowlings. 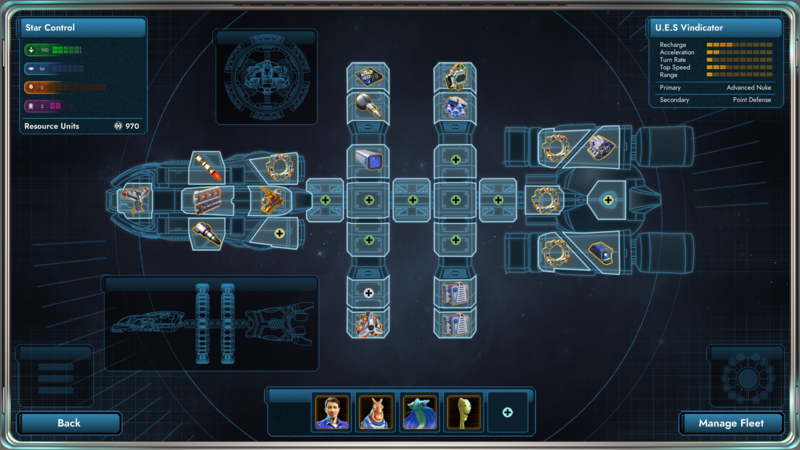 Important: Previously saved "fleets" are no longer compatible due to a data change. 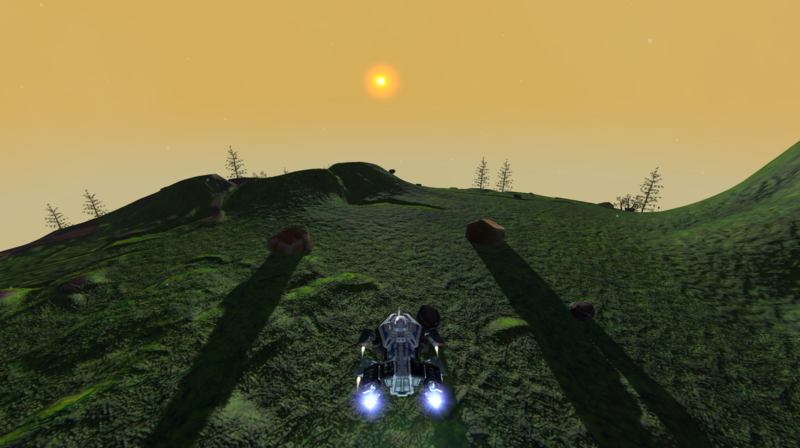 Arilou Observer: Green skinned aliens have been using this cloaked ship to watch us from afar for quite some time. 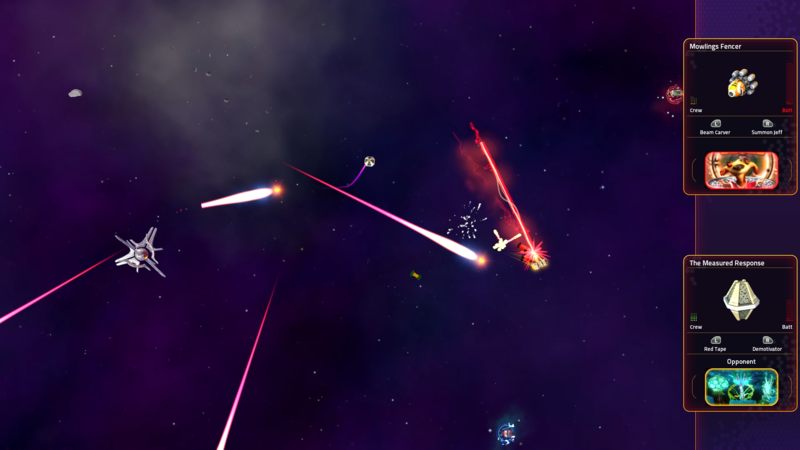 Kzanti Intimidator: Space pirates / low-level predators that like keeping their distance from you so they can blow you up with mines. They'll use your scrap to sell on the black market. Octomator-- Short range blaster that fires in eight directions all at once. 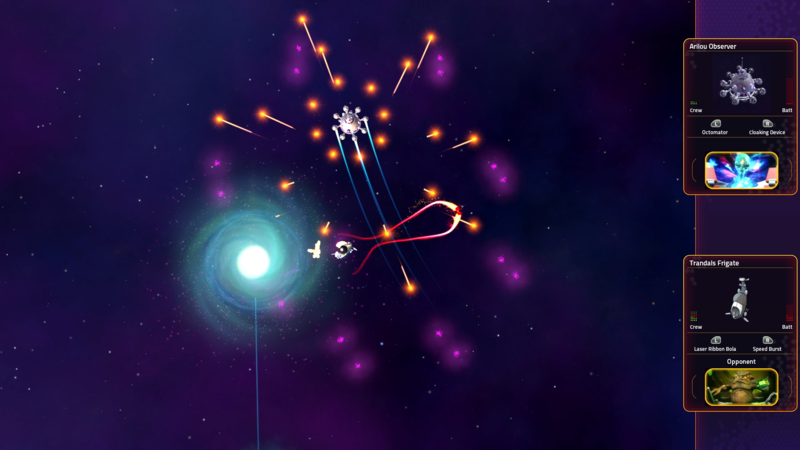 Repulsor -- pushes other ships away from you. Wrecks: Battle Arenas now are littered with wrecks from destroyed ships. 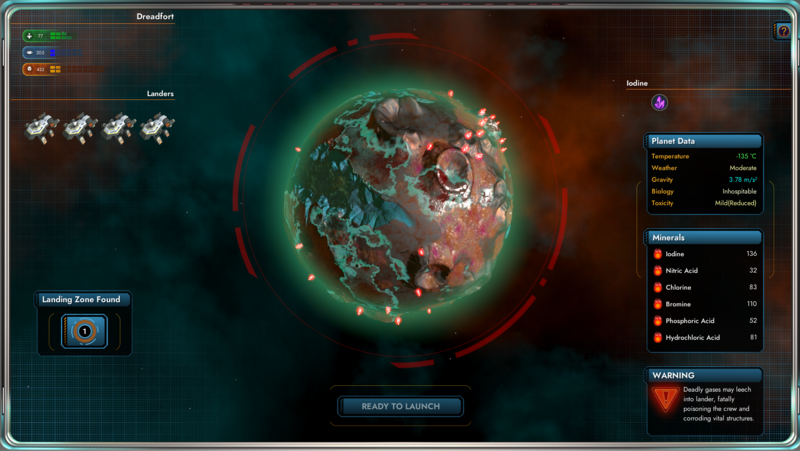 Changed planet pitches a bit in order to make them look better in Fleet Battles. Renamed the "Dannath Trickster" to the"Xraki Devourer"
Minor AI tweak to better use certain special secondary weapons. Minor changes to the AI weapon list files to discourage the AI from wanting to get in so close with ranged weapons. 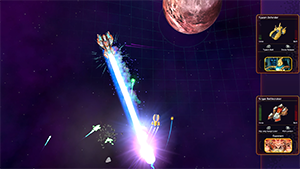 Tweaks to the AI super melee difficulty levels (generally to make it a bit tougher). 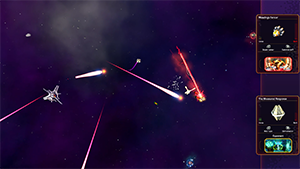 Enemy view increased to make it more sensitive to being aimed at by guided weapons. AOE attacks no longer blow up projectiles of the same team.